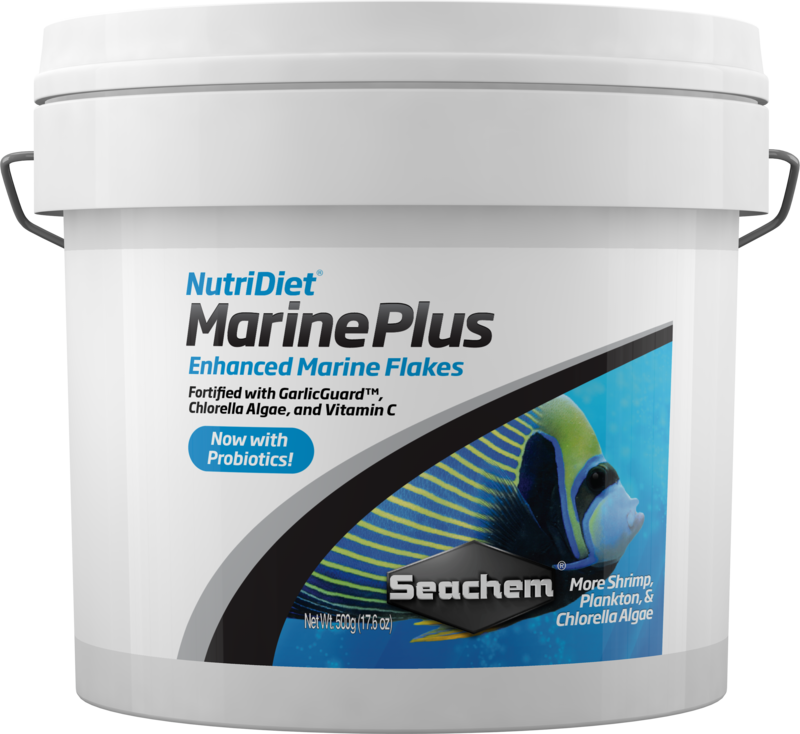 NutriDiet® Marine Plus Flakes is a premium and nutritionally balanced diet formulated to meet the requirements of all marine fish. 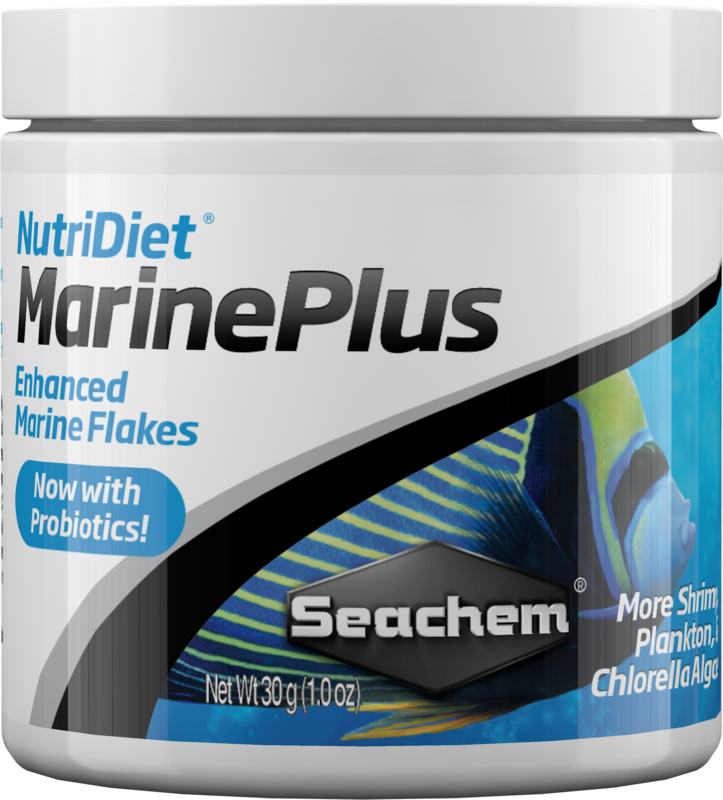 It contains only the highest quality ingredients including fish, plankton, squid, and shrimp. 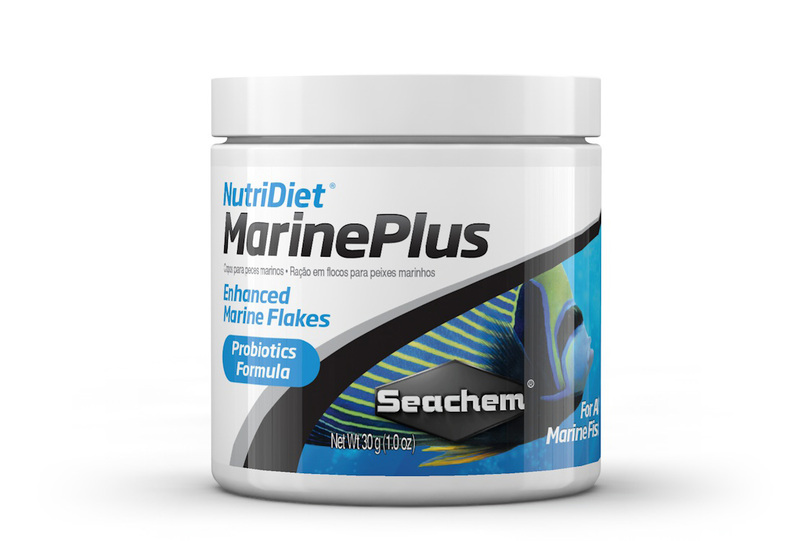 As with all of the Seachem NutriDiets, Marine Plus Flakes have Chlorella Algae as an exceptional source of a broad range of vitamins, amino acids as well as all other nutrients required for animal life. 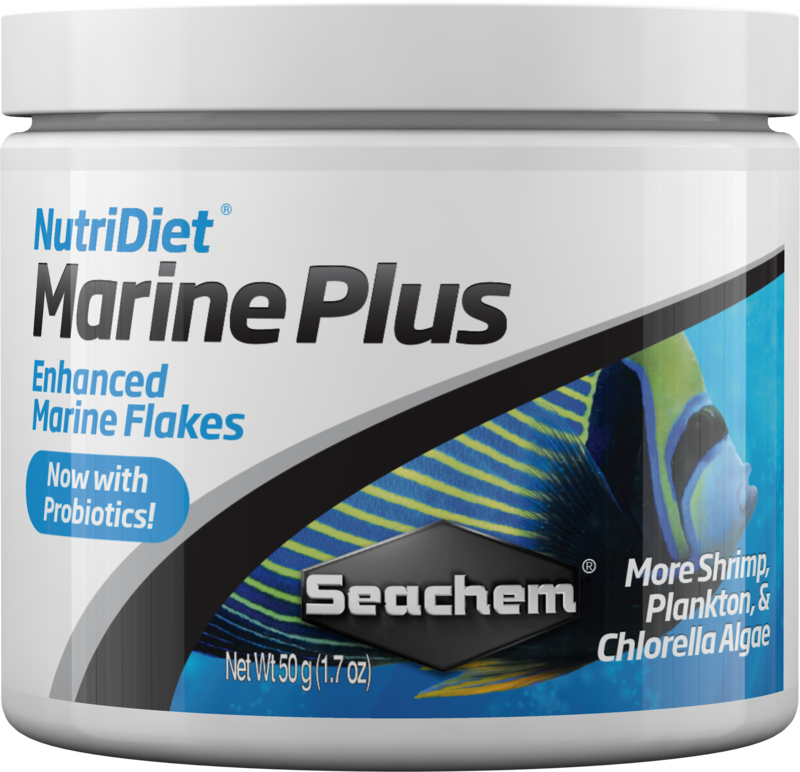 Chlorella Algae is considered a potential super food that far surpasses the nutrients delivered by Spirulina Algae common to other diets. 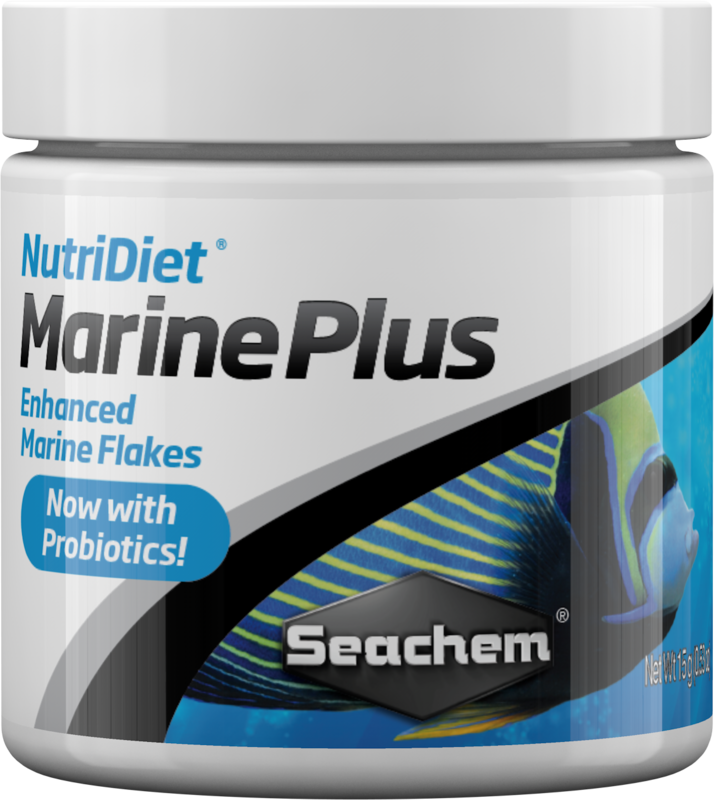 It is enhanced with Entice™ to attract finicky eaters and enhance palatability. 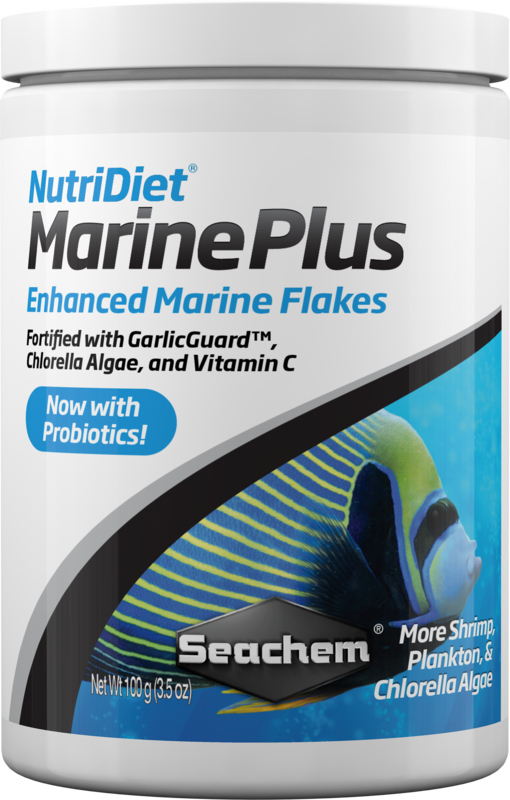 Additionally, Marine Plus Flakes contain GarlicGuard™ as an appetite stimulant.